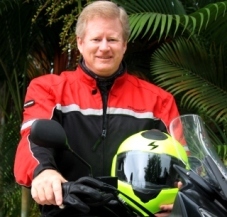 Why a Supported Motorcycle Tour? “MotoCaribe was founded in 2007 on a simple premise that guides all we do today: to offer all riders worldwide the greatest value on the planet in supported, exotic motorcycle tours, period. 1. Your time is valuable and you want the best experience possible. A supported tour puts together a schedule to maximize your vacation time. 2. Tour operators know their area. They know the best roads, hotels and routes—and as importantly, they know where to avoid. You don’t. That means no guessing on your part. 3. You just want to ride and not worry about travel details. A supported tour takes care of all the details so you maximize seat time. No worries! 4. International travel usually requires extra luggage and riding with a loaded bike is a drag, especially two-up. A supported tour allows you to put your luggage in their vehicle so you ride light. More fun! 5. You enjoy the camaraderie that comes from bonding with a small group of like-minded riders. 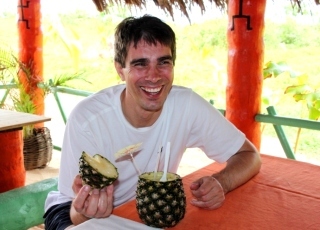 A supported tour brings riders together and includes a personable guide who facilitates the group. Certainly supported tours aren’t for everyone, but for many they are the best way to enjoy a motorcycling experience in an unknown land supported by enthusiasts who know their country thoroughly. 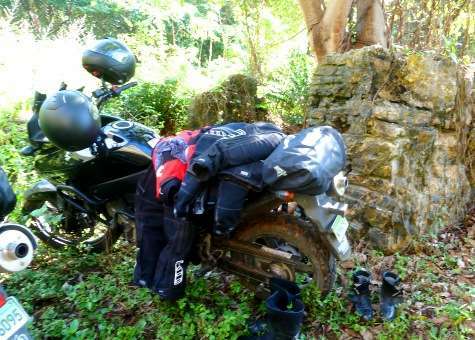 And nobody does supported motorcycle tours better than MotoCaribe. 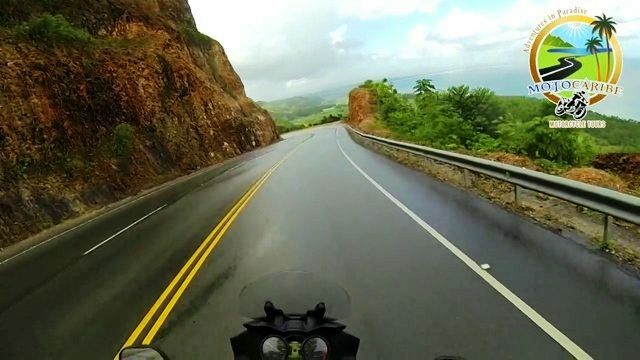 I'm Interested in a MotoCaribe Tour! Come along on a morning ride in paradise on this incredible 24km stretch of magnificent road on all North Coast and Combination tours! I had a fantastic time on this trip. The riding was amazing, the people were spectacular, the food was outrageous and soda was made with actual sugar. If you don’t wanna experience new cultures, stay home. I thought everything was just as it should be, and appreciated the peek into Dominican culture. I would go back in a heartbeat.